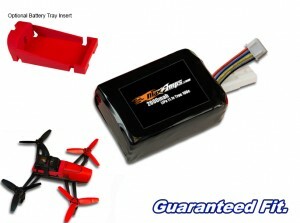 MaxAmps Gives Your Bebop More Flight Time! Home » New Release » MaxAmps Gives Your Bebop More Flight Time! 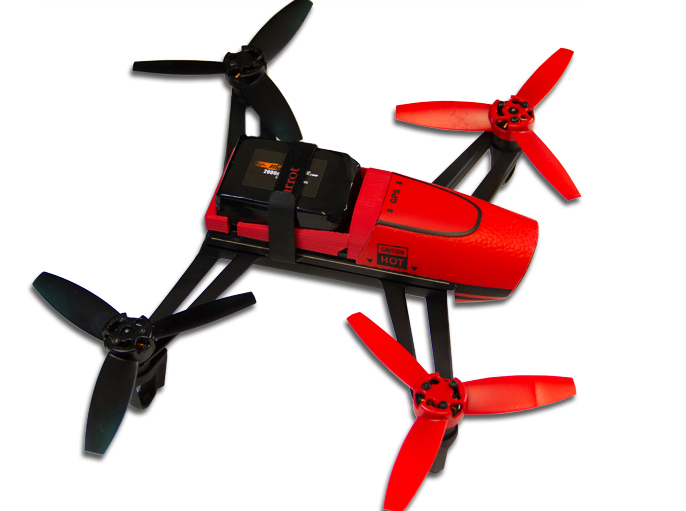 If you own a Parrot Bebop Drone you know that the one major challenge is the short flight time. MaxAmps just released a high-performance LiPo battery pack upgrade for the Parrot Bebop Drone. This lightweight battery balances 40% more flight time with the agile flight characteristics we have come to love from the Parrot Bebop Drone. With this battery installed you will still be able to complete all the flip options easily. It features a 100C rating for tons of punch and extra power. MaxAmps also offers a battery tray insert to seamlessly replace the stock battery pack. Available in 3 colors: red, blue or yellow to match your Bebop color scheme. The battery comes with the correct connector to mate with your stock Parrot Bebop Drone. It also comes with a JST-XH balancing tap pre-installed so you can easily balance charge it with most hobby-grade chargers on the market. The benefit to using one of these chargers instead of the stock charger is that you can now recharge a drained pack in as fast as 15-30 minutes and charge multiple packs at the same time. This means more flying and less charging! See the new pack in action HERE. Next Dromida Vista 251mm UAV – The Dynamically Durable Drone!